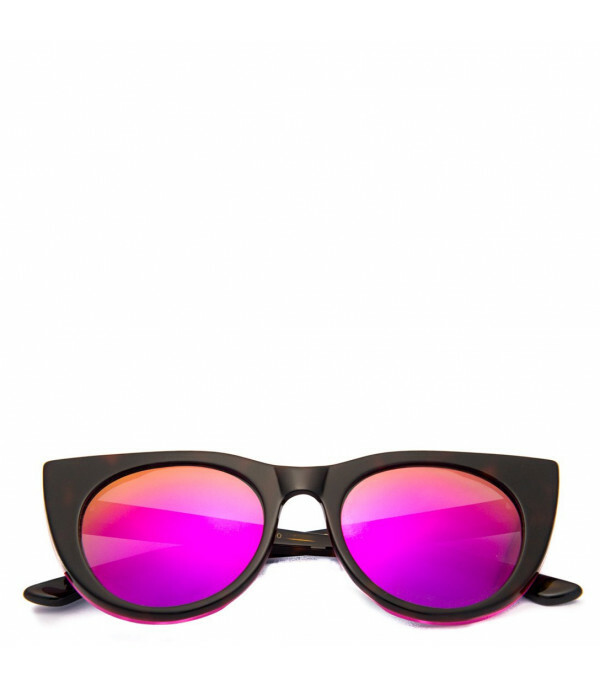 Color: Brown - Description: Brown cat-eye shaped sunglasses with fuchsia inside, made from acetate cellulose, with fuchsia mirrored lens. - Details: 100% Acetate cellulose. 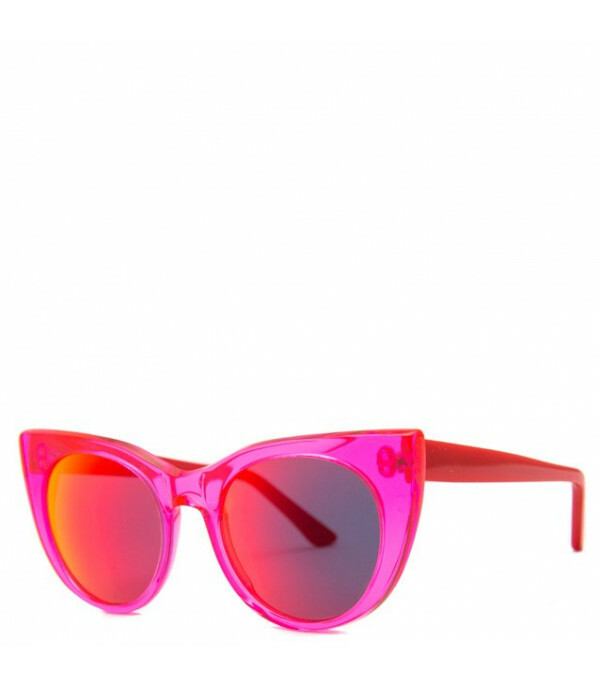 Description: Brown cat-eye shaped sunglasses with fuchsia inside, made from acetate cellulose, with fuchsia mirrored lens. The story of the brand Kyme starts as a game from the mind of an inspired and resourceful optician: Antonello Calderoni. 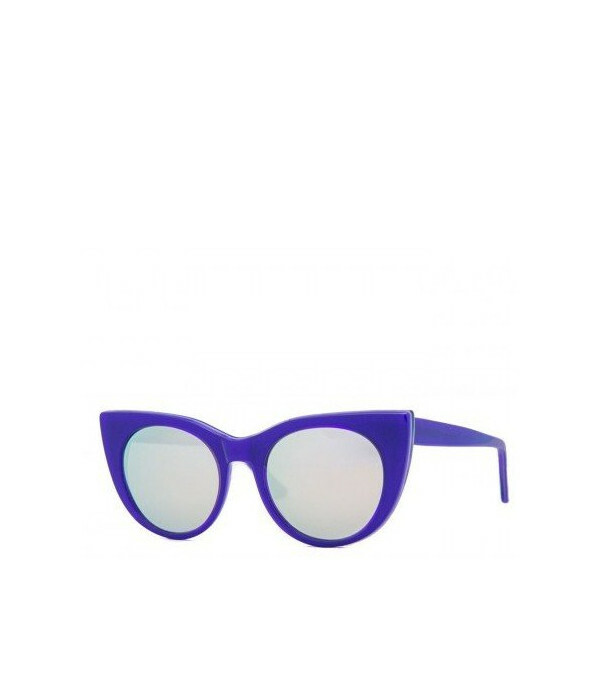 All began with the production of a small sunglasses collection, that mirrors the personal taste of the businessman. The brand name Kyme comes from the Greek word Kyme: wave, suggesting the idea of energy and movement. It was born in March 2013, in Altamura (Puglia) and quickly it became a brand specialized in design and production of high quality sunglasses. 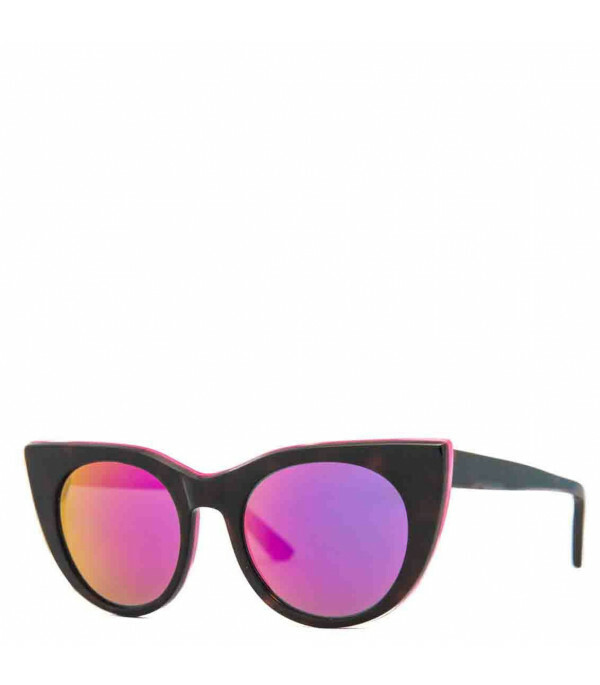 Its mission is to restyle evergreen sunglasses models in a more modern and fashionable way. Their kids collection is funny, colorful and fashionable with the same quality and identity of the collections for the elder ones.